The creative LED screen, also known as the special-shaped LED screen, has a stronger visual impact than the traditional LED display screen. It breaks the limitation of the regular shape of the traditional LED display screen, and is different from the rectangular shape and the flat plate shape of the conventional LED display screen, appearing by various special shape. Compared with the traditional LED display, its biggest feature is that it can better adapt to the overall structure and environment of the building, and the size and dimension of the LED screen can be customized according to requirements. It can be said that the shaped screen is based on the traditional LED display screen to transform various shapes to present different effects, making it more novel and unique in appearance. In the past, shaped LED screens were assembled by traditional rectangular flat modules or edging. The most common shaped LED screens are large curved curved screens and flat circular screens. At present, LED GARANTi has specially developed various shaped modules such as triangle, trapezoid, circle, parallelogram, etc., which can be combined into wave LED screen, donut LED screen, curved LED screen, circular LED screen, conical LED screen, spherical LED screen, rhombus LED screen, diamond LED display, and other shapes, regular or irregular geometric LED displays. 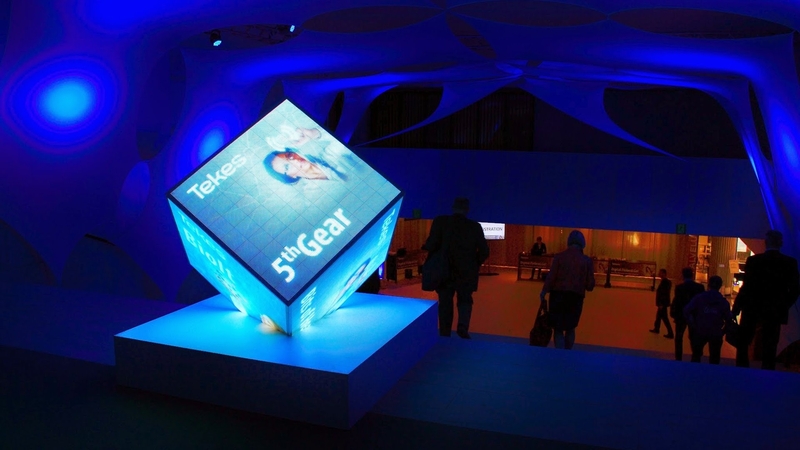 Below we will share some small cases of creative LED screens.